If you’ve been keeping up with Medical Edibles, you know how much we care about the legal issues of medical – and also recreational – cannabis in the United States. Some states are totally liberated at this point, while others are not. As such, we want to make sure you know where current state laws stand, and also that change is still needed in many places. We’ve previously discussed some of the best politicians to support, if you want positive legal changes, in regards to cannabis. Now, however, we’re going to cover some of the politicians against marijuana (who need to be left out of the equation). These are nine of the worst politicians when it comes to marijuana. In other words, these are the people whose bills you should keep an eye on, so that they don’t ruin the legality of cannabis in your area, or worse, the country at large. 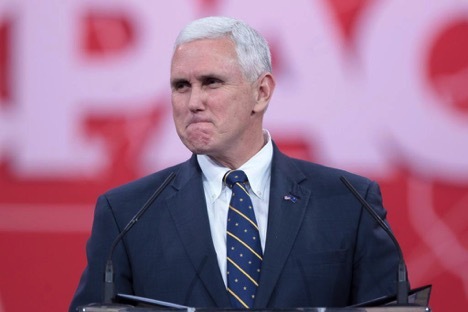 Our very own vice president, Mike Pence, is not only an advocate for gay conversion therapy but also loves to hate cannabis. In response to a House bill that would lower marijuana charges, Pence wanted to raise them. If you know the Indiana drug laws, you’ll know it’s not the most cannabis-friendly state in the union, and Mike Pence has done the most he can to keep things that way. The current house majority leader hates weed. As our third person with huge influence in American politics, marijuana definitely has a bleak future in the United States, if we don’t vote these people out. McConnell has cryptically said that legalizing marijuana is a mistake not only for his state of Kentucky but also for the country at large. This Texas Republican is someone who definitely doesn’t want to allow marijuana use in this country, let alone his state. He’s previously made the (debunked) claim that marijuana is a gateway drug. 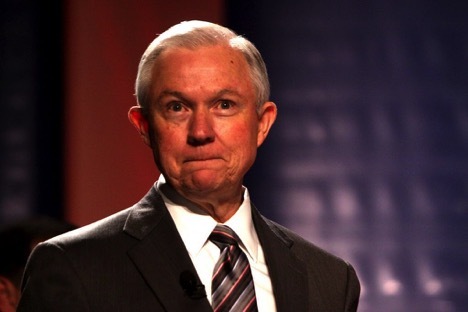 He has used his power to push off any pro-marijuana legislation he could, so it’s up to the voters to get this guy out of office, in order to save our laws. Earlier this year, this Kansas lawmaker made an interesting claim that African Americans were “more susceptible” to marijuana addiction. The reasons why marijuana is illegal are largely to do with this according, to him, dating that claim that goes back to the 1930s. This claim is not only outrageous and racist but also a major piece of his whole attitude that marijuana affects people in a way that is evil for the state. No weed for the Boozman. This Arkansas Republican has an F rating on NORML. He has expressed the belief that doctors prescribe medical marijuana for any little ailment, which, as we all know, is simply not true. He has been voting no on all marijuana legislation, despite the real health benefits (often with scientific backing). As a voter, make sure you’re not giving this guy attention on the ballot if you want to see any marijuana legalization. If you’re wondering “why is marijuana illegal in Arkansas?” – it’s probably this guy. This Illinois Republican had previously stated that young marijuana users are lower performers in life and in their jobs. He also introduced legislation to increase prison sentences for people trafficking marijuana that contained a level of THC over 15%. This Debbie Downer really hates the fun that states with recreational marijuana are having. She was bold enough to introduce a bill that would cut money from the Department of Justice if they didn’t begin more closely monitoring what’s going on in the legal states. Her argument is the safety of kids, but, as we’ve discussed many times just on this website, marijuana packaging is putting in overtime, when it comes to keeping kids safe. This member of the Kennedy family – who is, of course, still a Democrat – sadly opposes the effort to legalize cannabis. He has put a lot of money toward keeping the drug illegal, and Rhode Island has definitely been held back, compared to Massachusetts, in terms of legislation. What can the average American do to take down these politicians against marijuana though? Vote. Make sure you’re there for every election, and keep your ears to the ground on cannabis policy, with every candidate, so you make the best decision for your community and your country.